Laid down, 19 May 1943, at New Jersey Shipbuilding, Barber, N.J.
103k USS LCI(L)-443 drydocked at New York Navy Yard, 7 September 1943. 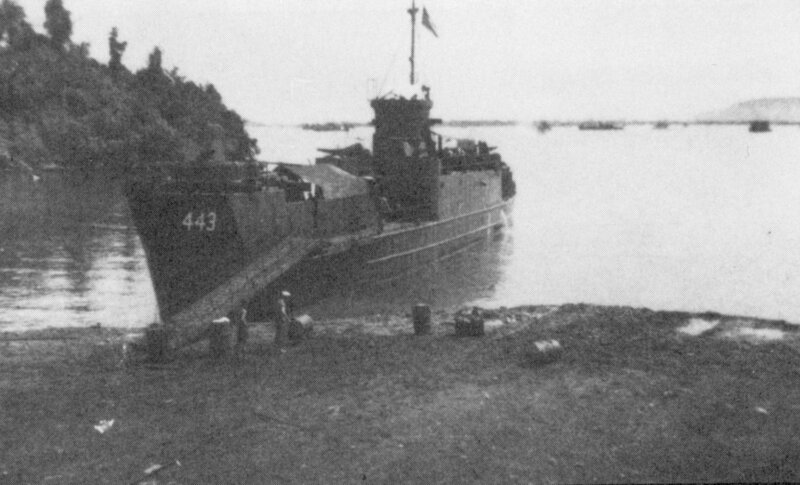 Starboard view before alteration of skegs. 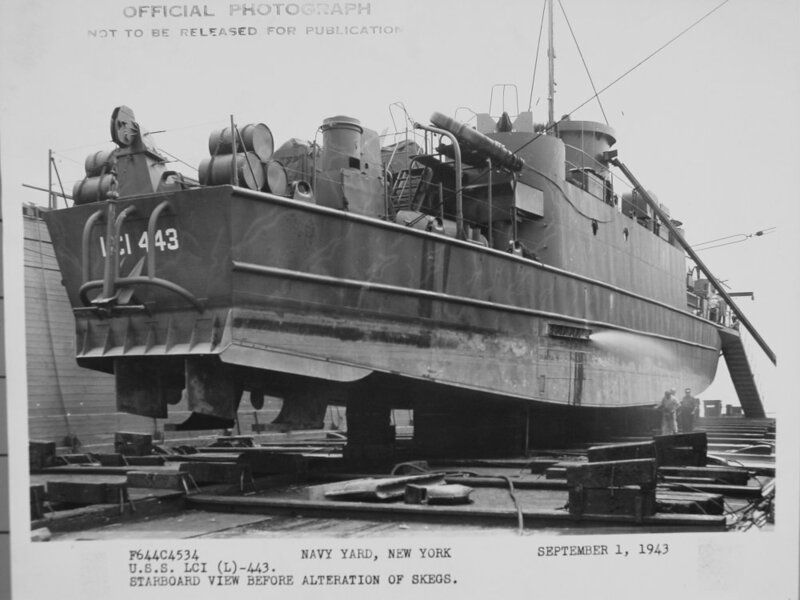 New York Navy Yard photo # F644C4534 now in the collections of the US National Archives Jerry Gilmartin AFMM secretary LCI713 restoration crew. 66k USS LCI(L)-443 drydocked at New York Navy Yard, 7 September 1943. Center view after alteration of skegs. 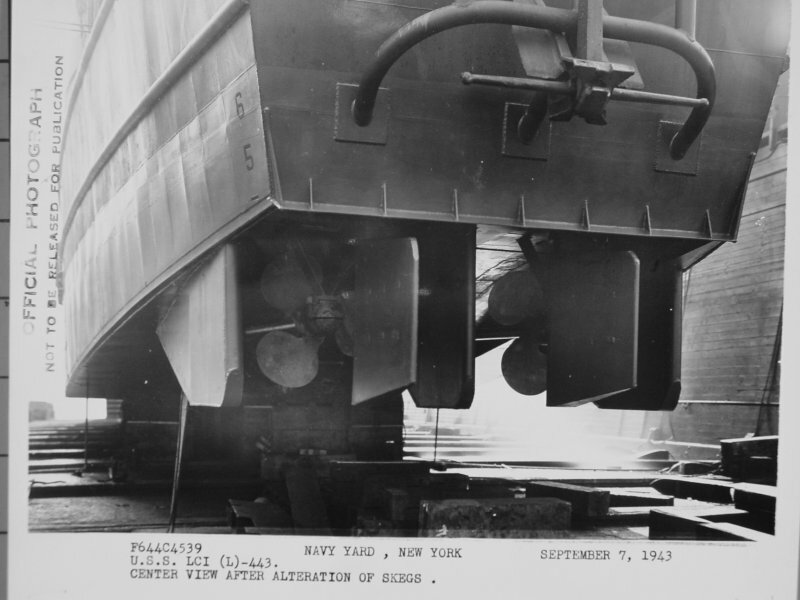 New York Navy Yard photo # F644C4539 now in the collections of the US National Archives Jerry Gilmartin AFMM secretary LCI713 restoration crew. 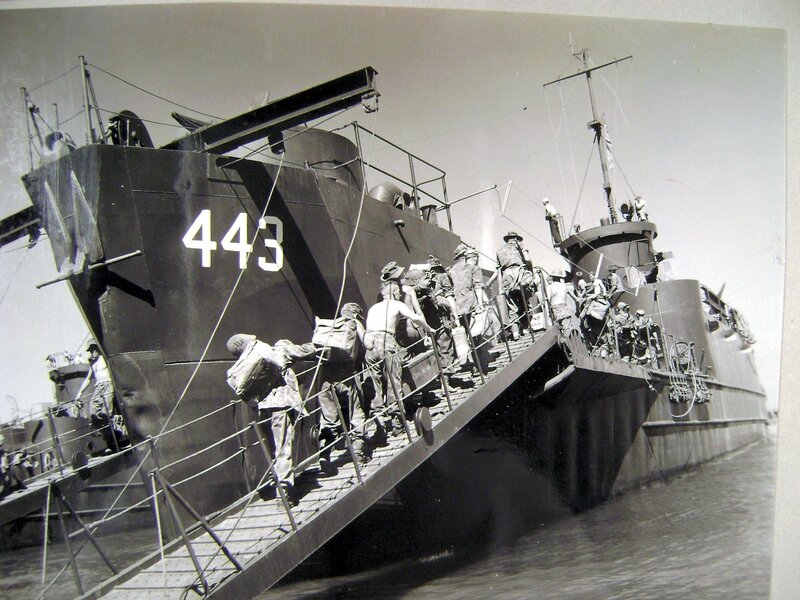 662k USS LCI(L)-443 beached somewhere in the Pacific while taking on fuel, date and location unknown. Jerry Gilmartin AFMM secretary LCI713 restoration crew. 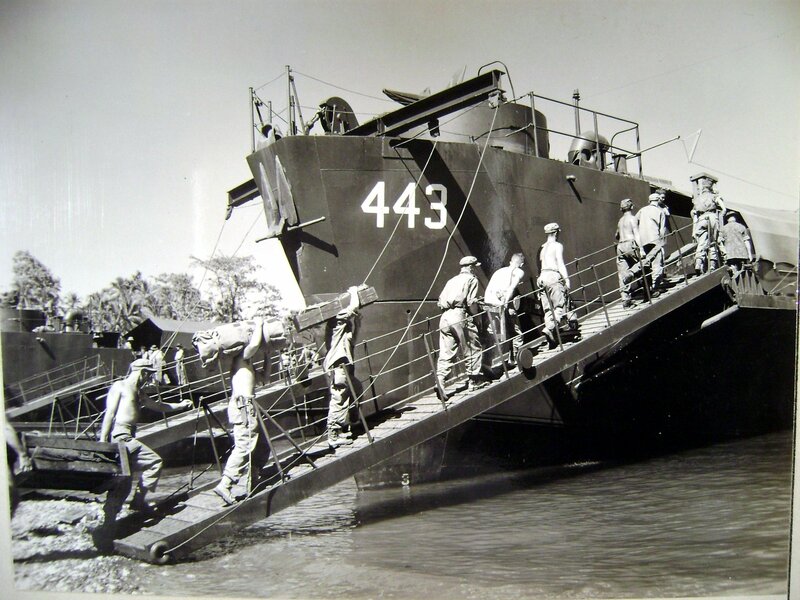 415k USS LCI(L)-82 embarking New Zealand troops at Vela la Vella, circa February 1944. Jerry Gilmartin MMC(SW) Ret, Secretary AFMM LCI713, Curator Save the PT Boat Inc PT658.